The experience of a trade show is quite difficult to put into words; regardless of whether you are an exhibitor or an attendee, the level of energy, engagement, and excitement associated with a show is indescribable. Here at Xiris Automation, we are quite familiar with the trade show process, but this doesn’t make the events any less exciting. The last couple of months have been no exception as we traveled the world to meet customers and faced the hustle and bustle of EuroBLECH and FABTECH. EuroBLECH is the largest trade exhibition for the sheet metal working industry and it is valued by top industry professionals from all over the world. [i] This year, the show ran from October 23rd to the 26th in Hanover, Germany and highlighted the theme of Stepping into the Digital Reality. The show attracted over 56,000 visitors from all around the world[ii] and gave us the opportunity to connect with clients from new regions. 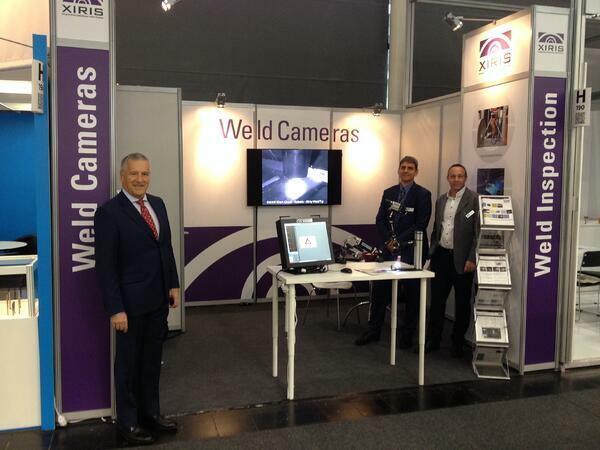 We showcased our weld cameras and weld inspection systems and were very impressed with the level in interest in the XVC 1000e welding camera. This show also doubled as our first opportunity to introduce Michael Staiger to our European market. As business in Europe continues to grow, Michael joined our team as the new European Service Technician in order to better meet the needs of our customers. Based out of the Xiris Automation GmbH office just outside of Duesseldorf, Germany, Michael will be responsible for installation, calibration, and training for all new Xiris customers, as well as servicing and repair work of Xiris equipment across Europe. 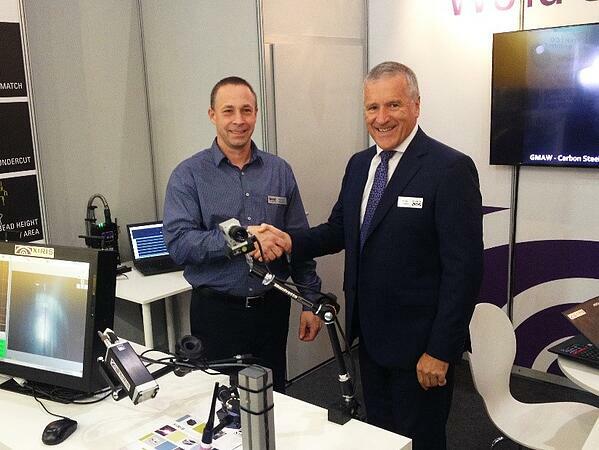 Not only was EuroBLECH the perfect opportunity to introduce Michael to our connections worldwide, but it also conveniently demonstrated the scope of our business. About one week after coming back from Germany, we headed to Atlanta, Georgia for FABTECH 2018. FABTECH is North America’s largest metal forming, fabricating, welding and finishing event[iii] and our team was very excited to get in touch with our North American market. The show took place at the Georgia World Congress Center and was open to the public from November 6th to the 8th. 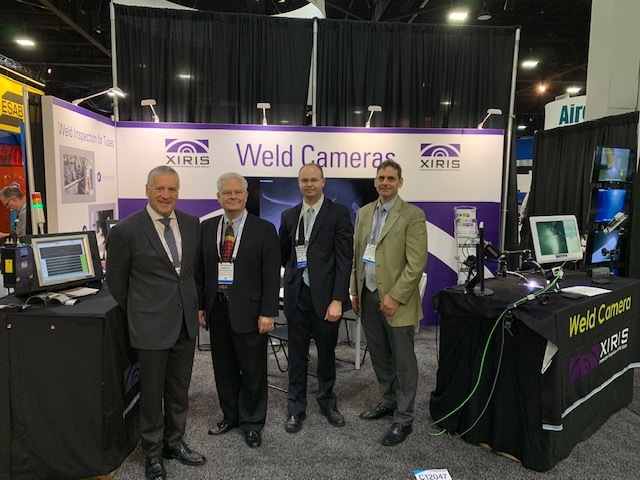 This year, our booth was bigger and better than ever before as we showcased the capabilities of our HDR welding cameras through demo videos of numerous applications. We also had over 20 cameras on the floor with trusted industry partners including: Lincoln Electric, Hobart Brothers, Cloos Welding, Gullco, Abicor Binzel, Arcrite Automation and Bug-O, big thank you to those who participated! Seeing the cameras in action all around the show encouraged attendees to visit our team experts and ask their burning questions. 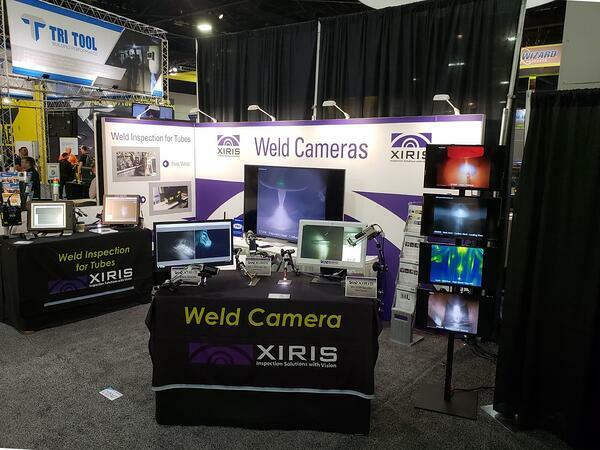 If your company will be exhibiting at Fabtech 2019 or any other welding automation or fabrication show, and you feel you could benefit from displaying or operating a Xiris camera, please contact our sales team. In conclusion, it has been a very successful trade show season for Xiris Automation. It was a pleasure meeting everyone who had the chance to stop by one of our booths and we are looking forward to connecting with you further. If you did not have the opportunity to visit us, or if you have any further questions about our equipment, please feel free to check out our website or contact us. A lot of work goes into one of these shows, so we would like to send out a big thank you to everyone who made them possible, it is so satisfying to see all that hard work pay off. The preparation for these shows begins many months, sometimes even years, in advance, so it is time to sign off and start planning for the future. Until next time!